Some of these recipes sound good to make! I'm not sure how to get to them other than searching the site - is there a way for you to add the recipe links to this post to make it easier to find what you're meal planning? 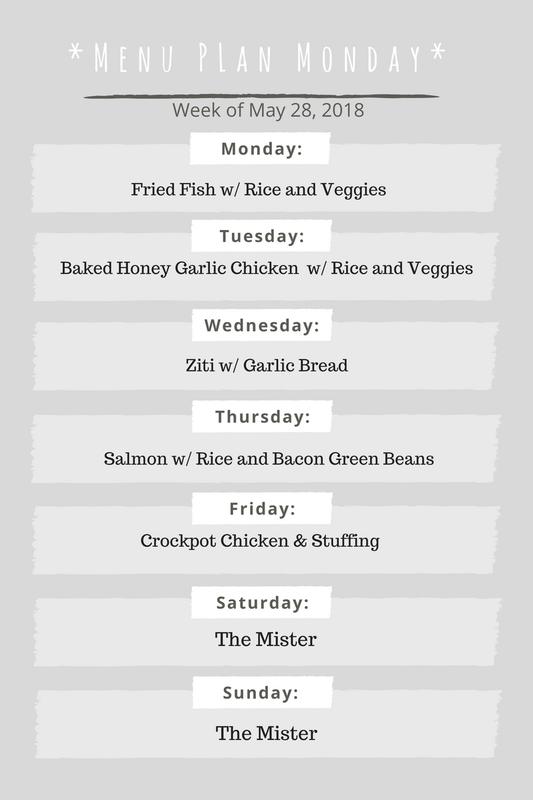 Your menu for the week sounds so awesome! I really also want to get links to some of these recipes to add to our dinner rotation ( we can always use new dishes!) Can't wait to try your watermelon spritzer too- so perfect for summer! I find meal planning can save lots of time and money. I've seen your ziti in your meal plan before, our family has favorites too. These recipes looks so delicious and healthy. I'll haft to give these recipes a try. The honey garlic chicken sounds delicious but I think it also sounds amazing in the salmon version as well. Your menu plans are so helpful and always yummy! These all look great and pretty simple to make. I can't wait till you share the watermelon spritzer recipe too. The baked honey garlic chicken sounds so good. I love rice for the sides as well. Ziti and garlic bread sounds interesting. I love how you organize your meal plan for the week. I guess I need to make my own scheduling too.